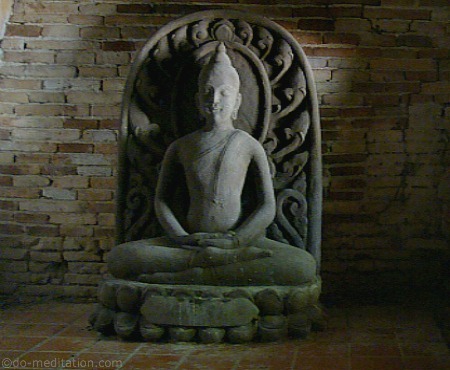 Satipatthana meditation focuses exclusively on cultivating mindfulness. On our capacity to attend to our experience in the present moment. Patthana means close, firm and steadfast establishment, or application. The Buddha spoke of it as a direct path to the attainment of enlightenment. Though simple, it remains a powerful tool in unlocking the secrets of existence and delivering us from suffering. Some practitioners maintain that while other forms of meditation develop concentration (Samatha) and insight (Vipassana) sequentially, Satipatthana meditation manifests both these faculties simultaneously. According to them, in Satipatthana, the act of paying attention to each moment of experience fixes the mind firmly on the object. This continuous attention to the object, even when the object itself is constantly changing, stabilizes the mind in concentration, while the observation of the constantly changing object brings about clear insight into its impermanent nature. These debates over subtle nuances between different techniques are always lost on a layperson like me. I just believe in doing what one understands best. In the end, all paths lead to the same final destination. What is important is to pick one and then keep walking on it until you reach the goal. The 'four foundations of mindfulness' are body, feelings, mind and phenomena. You have to firmly grasp the object of observation and your mind should not be sluggish, casual or lagging behind. It should attack the object of observation in the same moment it arises. The observing mind must totally envelop the object of observation, noting it in its entirety. Instead of just a part of the object being observed, the object should be noted from the beginning through the middle to its end. Awareness or mindfulness of the arising objects of observation should be continuous in one unbroken chain. One moment of mindfulness leading to the next moment of mindfulness in a sustained manner. Since in the beginning, it is easy for the unpracticed mind to grasp coarser objects (bodily sensations) compared to finer ones (thoughts, emotions), it is best to start with mindfulness of body meditation. As the name suggests, the meditation makes you acutely aware of the different sensations occurring in your body at all times. Once you are firmly established in Satipatthana with regard to bodily sensations, you should apply the same level of awareness to your feelings, mind and phenomena. Through Satipatthana meditation, the meditator is required to bring an energetic and enthusiastic awareness to each and every movement of his or her physical and mental existence. That kind of awareness is essential to having penetrating insight into the physical and mental phenomena which make up our existence.